This year for our preschool and elementary students we will be using Group Publishing House's "DigIn" curriculm. The entire year will be focused on digging into the Life of Jesus. Many children from Chrsitian homes don't know who Jesus' mom was or that he had a step dad. They aren't aware of the many wonderful things Jesus taught and did. This curriculm and its emphasis on Jesus' life tries to encourage youth to not only have a knowledge of Jesus but a relationship with Jesus. Once a month we open our "Bible Buck" store for children to shop with their Bible bucks. The Bible bucks are earned through attendance, participation, and memorizing of scripture passages. The Bible buck store is filled with niceities, knick knacks, and toys all with a spiritual flavor to them. 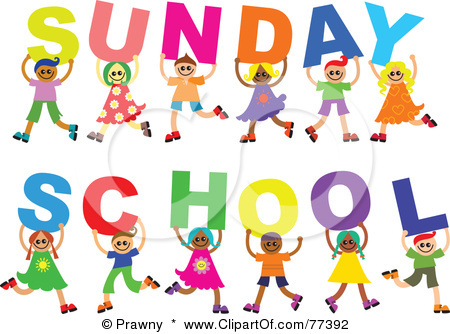 Sunday School is held September through May starting at 9:15 am and ending at 10:15 am. Our Sunday School is for ages 3 years and older. It begins each week with an opening gathering for worship and songs in the fellowship hall (so parents may drop their children of varying ages off in one convenient location). The children are then dismissed to their classrooms. We do ask parents to pick up their child at their classroom at the end of the Sunday School session. Parents are invited to participate in one of our Adult Forums while their child is in Sunday School. Typically we offer an Adult Forum on a book of the Bible and another Adult Forum on a Christian topic such as: Improving your prayer life, Christian parenting, The Ten Commandments, etc.